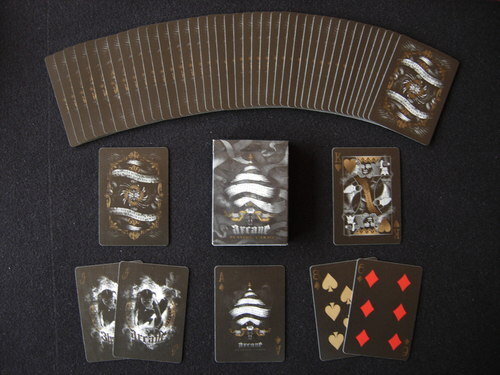 The Gold Arcane deck, produced by Ellusionist, is basically a Black Arcane deck with gold ink accents. 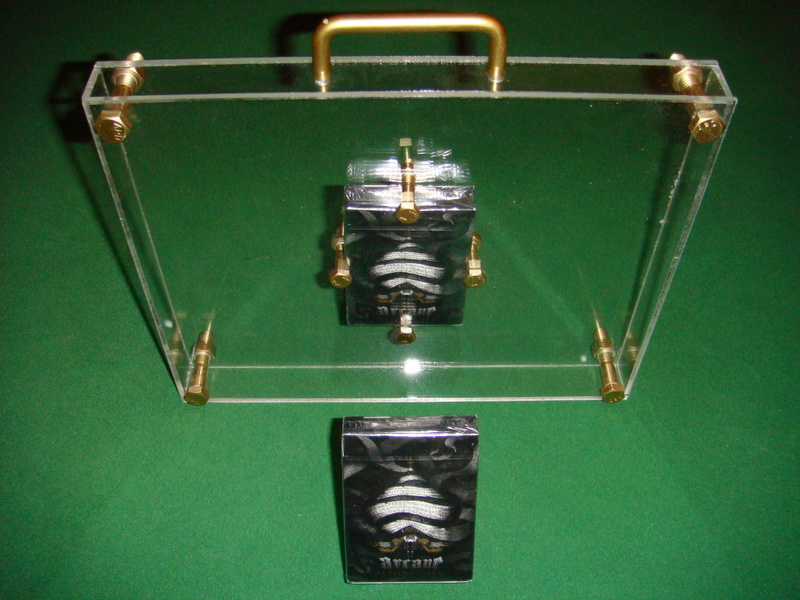 It's printing is limited to 5000 decks, and some come in a plexiglass suitcase style case. The cards are printed on Bee Casino stock (regular Arcanes have Bicycle Casino stock) and was the first deck to have the Performance Coating, aka the "Magic Finish". 2 versions of the Gold Arcane were produced unintentionally by Ellusionist. During the production process the first 500 had a more greenish tent rather than gold. They then contacted USPCC to resolve the matter and the remaining 4500 were printed with the correct color. Out of the 5000 Gold Arcanes produced, 50 were retained as uncut sheets. At this time only 10 are in circulation. The uncut sheets were produced after the color correction.